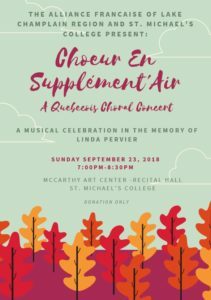 On the last stop of their Northeast Tour here in the U.S., le Chœur en Supplément’ Air delighted the audience at the McCarthy Arts Center on Sunday evening, September 23rd. 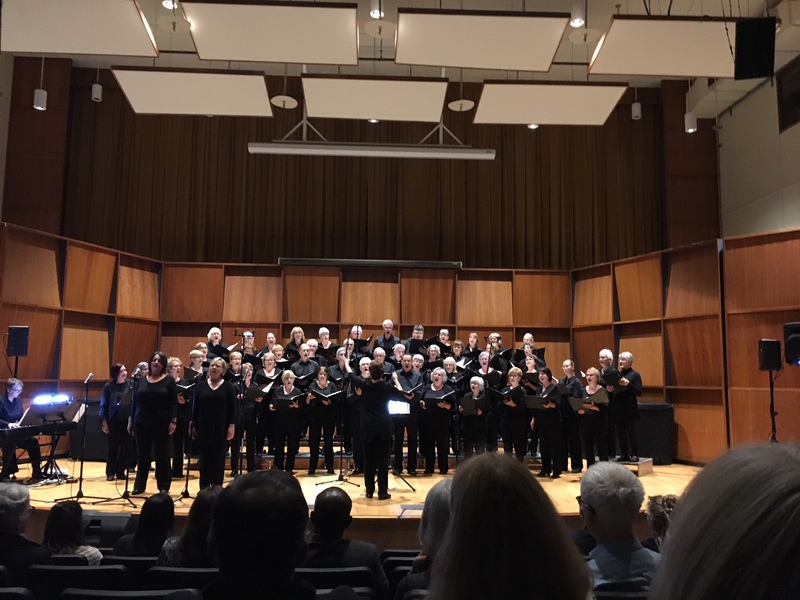 The concert was originally organized by Linda Pervier, our long-time AFLCR leader and promoter of the Arts. Linda passed away this past July from cancer, but her desire to have this particular group come visit and sing locally was realized by a dedicated crew of AFLCR volunteers and the untiring efforts of Prof. Peter Vantine from the Department of Modern and Classical Languages and Literatures at Saint Michael’s College. 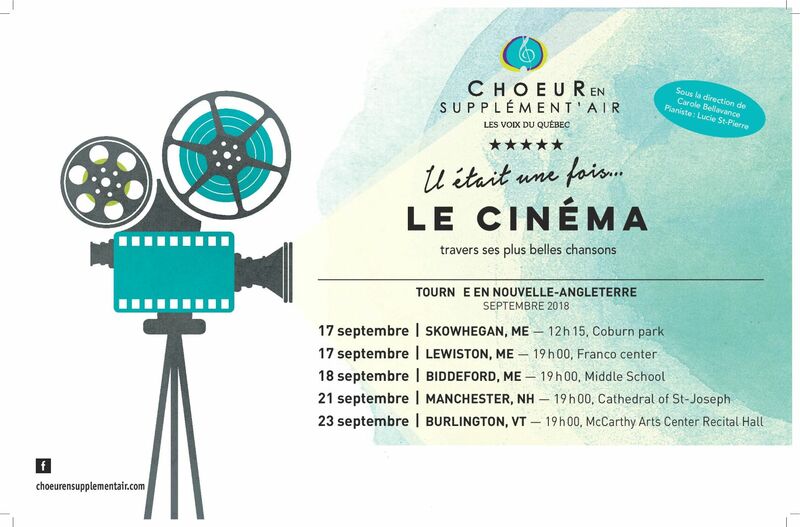 The 2018 Concert program featured hit songs in French from a variety of movies including Les Choristes, Les Misérables and a number of other French and French-inspired films. 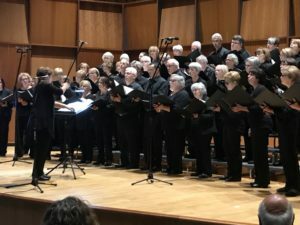 Choristers were treated to an informal dinner prior to the show at which point they realized the extent to which Burlington “locals” love and reflect the cultural diversity normally only associated with Quebec City and Montreal. This became even more evident after show-time when the choristers mingled to chat with the audience. Many local choir members were in attendance including some from the Congolese Choir which gathers in Burlington. 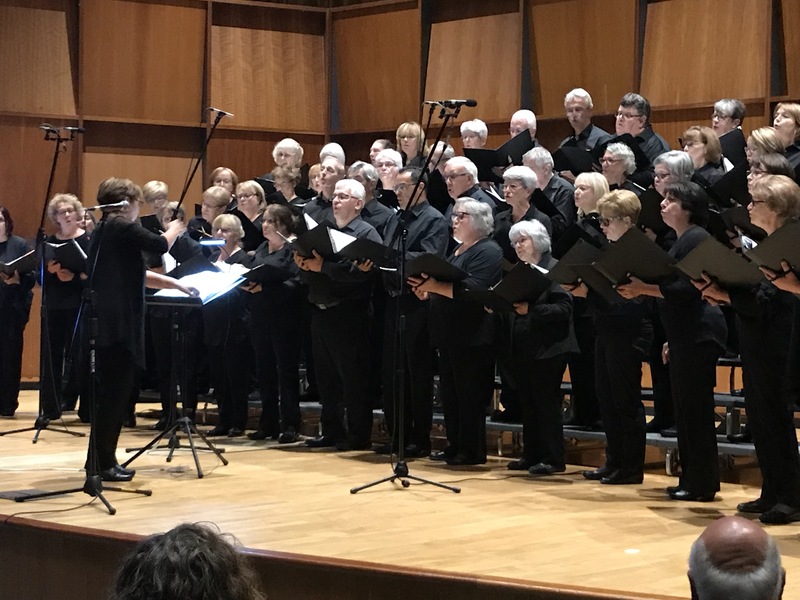 Also at the end of the concert, the Choeur’s Vice-President Jean-Guy Rancourt presented the Alliance with a beautiful gift basket we’ll be sure to share with Prof. Vantine and the staff who supported Sunday’s show. Funds were raised for the VNA McClure Respite House who so graciously cared for Linda during her final weeks, the vanderHeyden Endowment for the Arts at Saint Michael’s College and the AFLCR. 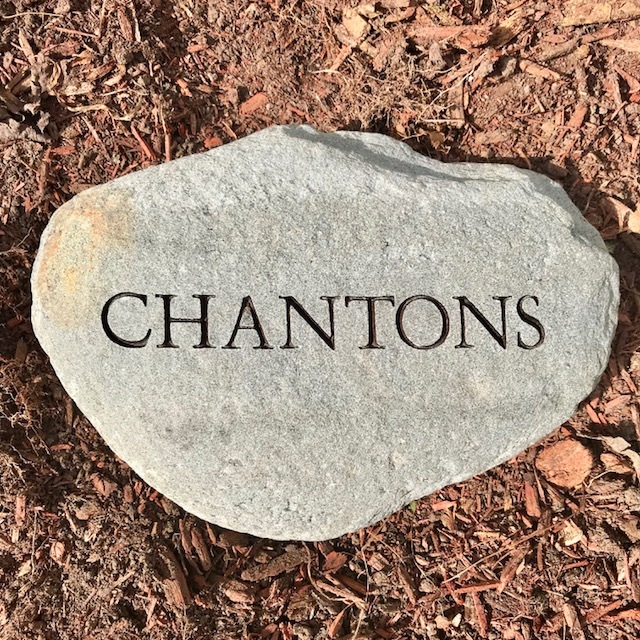 A rock bearing the inscription “Let’s Sing” in French will be placed adjacent to the concert hall in the Teaching Gardens. It will serve not only as a reminder of this particular collaboration, but as thanks to Saint Michael’s for it’s ongoing support of the Alliance’s mission and most importantly, Linda Pervier’s love of singing and belief in music as a transcending and spiritual force. Should you wish to learn more about le Chœur, click here to go online. 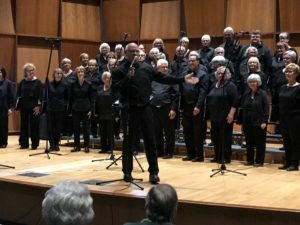 The entire choir is comprised of 400 singers from around the Province of Quebec who gather and sing around a specific theme at a concert held yearly in Quebec City for a vast audience. 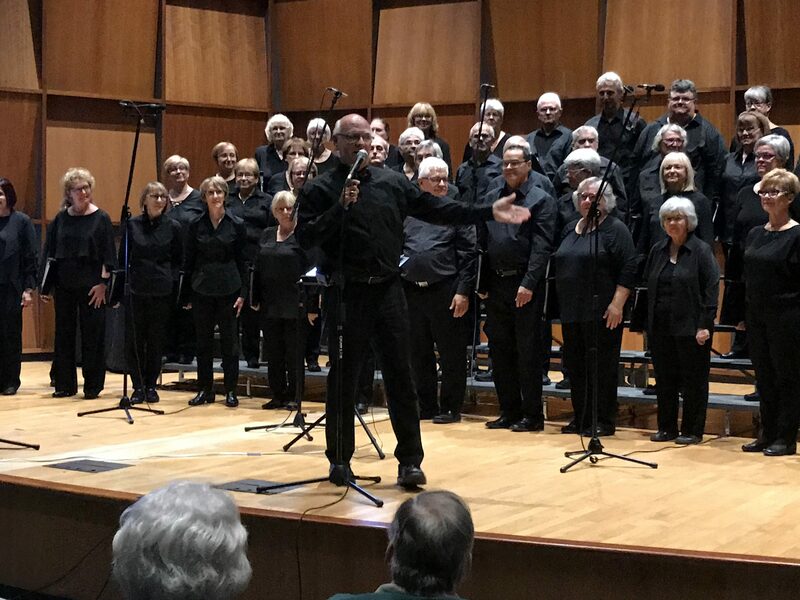 Special thanks to Ms. Carole Bellavance, Founder and Director and Jean-Guy Rancourt for having found us to share such a wonderful collection of songs, and Saint Michael’s College for graciously allowing this group to perform in a venue befitting their wonderful talent.